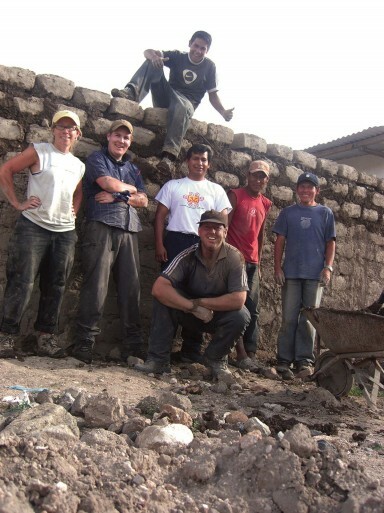 In early January 2007, I boarded an early morning flight from Minneapolis making my way to Ayacucho, Peru. While boarding the flight to the Andean city, a woman asked in broken English where I was going. I told her I was serving as an international volunteer in Ayacucho. She said, “It’s very poor there.” That is precisely why I chose to spend two weeks working with orphans in Ayacucho and it was a trip that changed my life forever. It was a giving trip. 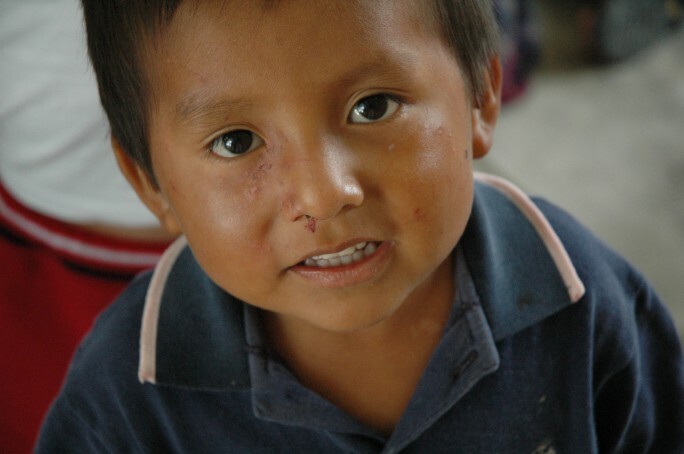 The work with the children in Peru was simple. It involved being taken by the hand of a small boy. We sat close on the dirt playground and wrote each other’s names in English in his school notebook. We read them out loud and became immediately bound at the heart. His little face is burned on my memory. Other days were spent at a girls orphanage cutting out paper dolls for amazed 8 year olds, reading “Mi Papa es un Gigante” to toddlers, teaching basic English to teenagers and even piling 20-30 pound blocks to build a fence around a school so children could have a safe place to play. True joy filled my heart and tears flowed as I thought about the joy these simple gestures would bring to the life of a child. That experience galvanized a passion deep inside of me. I realized my professional career of marketing financial services for a nationwide banking company was simply my training ground. Today, I spend my life and talents doing something to make the lives of orphans and poor children just a little bit brighter. I seek to build brighter futures and do more trips like this giving trip. 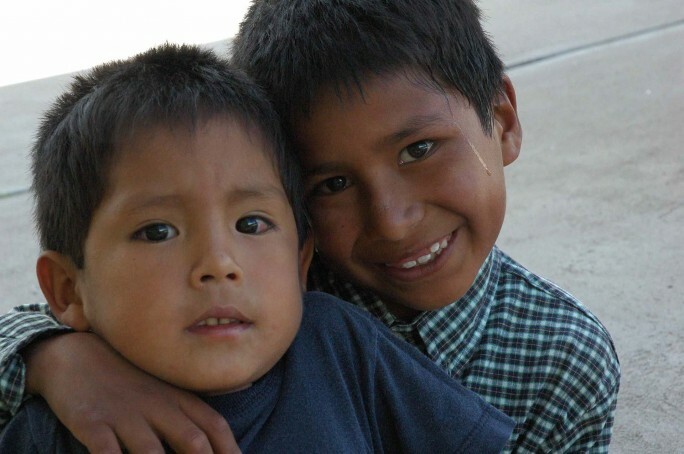 By the end of 2007, my plan for a nonprofit called 200 Orphanages Worldwide Inc. began to take shape. I began to build a nonprofit that would serve as a forum for existing organizations worldwide to help raise awareness and funds for building projects to better serve orphans in their care. Today, there are volunteers across the nation who adopted projects to help build brighter futures. Featuring and profiling organizations and their projects in far-away lands provides a sense of urgency to the orphan crisis, bringing the needs closer to home. 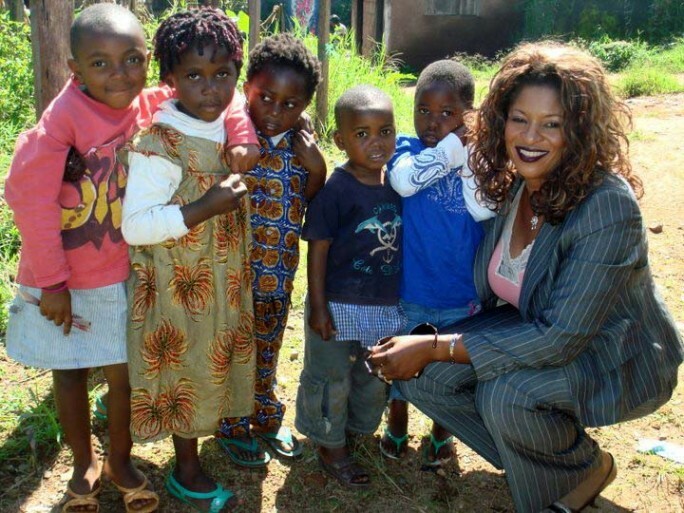 Relindis Moffor, executive director with Angel of Mercy travels to her home country Cameroon often delivering clothing, medical supplies and other much needed relief to the children left orphaned after their parents died of HIV/AIDS. 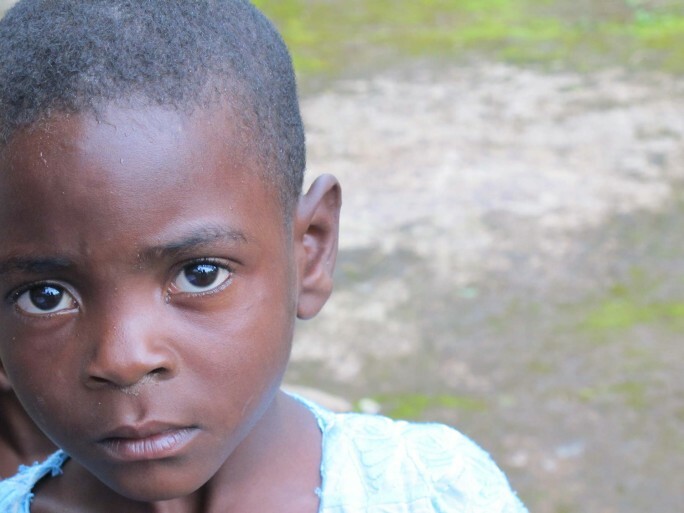 She dreams of building a home with specialty care for the orphans with HIV/AIDs. This project touched the heart of Monique Aiken and she mobilized friends and family around the nation to help raise funds for the project. 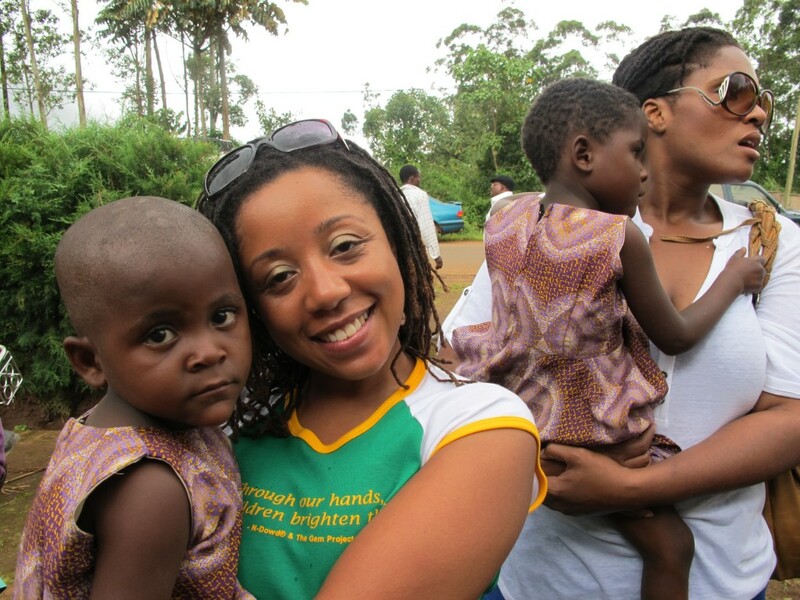 Our group of seven volunteers traveled to Cameroon in what we call The Giving Trip. Medical volunteers worked with over 200 patients at the Angel of Mercy free clinic. Our building team visited the site, spent time with the architect and project manager and even toured a building supply store. Others took photos for a photo journal book and we all had time with the children. There were celebrations with community and tribal leaders, and an invitation to spend an evening with the local Rotary Club of Bemenda. Angel of Mercy is just one of our partner projects. 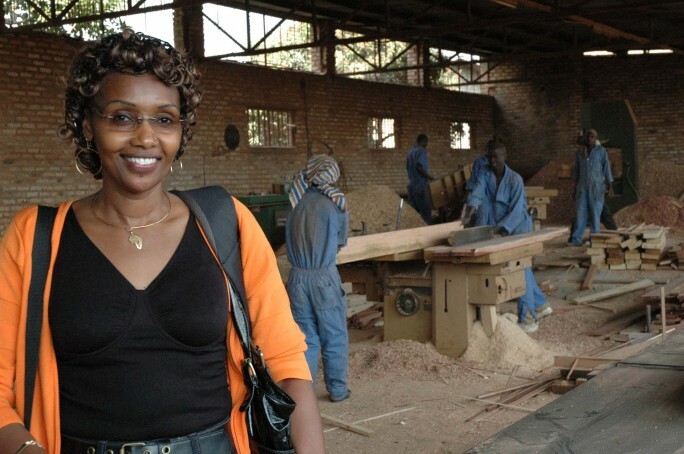 We’ve helped fund security walls in Uganda, Haiti and Rwanda. We’ve raised funds for a dining hall, latrine and outdoor kitchen in Tanzania and Rwanda. My new colleagues each have a heart to help bring hope and build brighter futures and there’s so much to do. Other partner projects include Nibakure Children’s Village in Rwanda, Janada Bachelor Foundation for Children in Tanzania, and Mercy Homes in India. Our mission is simple: We help them help them. My days now involve building awareness and support while creating a solid donor base for partner projects that serve orphans. It involves getting the word out with fund raisers and other events and mobilizing volunteers around the world willing to spread the word and raise funds. Once people hear about the children and their needs, they seem to just want to do something to help. 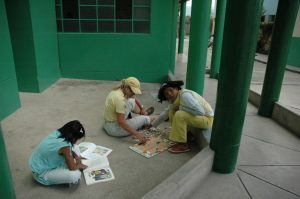 Our Giving Trip volunteers each have planned ways to raise funds to complete the project they adopted. We can’t do it all, but we can all do something. Likewise, the needs of the orphans are so overwhelming they have to be broken down into bite sized pieces. 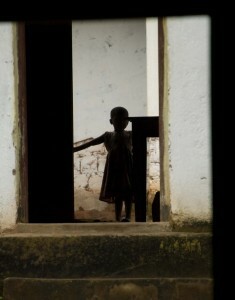 The projects featured on http://www.200orphanagesworldwide.org/, represent just a fraction of the orphans in the world. It’s one bite at a time. Great Blog. Great inspiration for others to GIVE. Reminds me of our company’s work with Manifest Foundation and Hug-It-Forward! Keep up the GIVING! I 2nd Victoria’s emotion. Dream on until all your dreamin’ comes true. This is such an inspiration to me… to not only give to others, but to follow my dreams and never give up. The quality of Mercy is that it is twice blest. It blesses both the giver and the benificiery. It is the little things that make the greatest difference! Now that we live in a global society it is important that we reach out and serve globally. 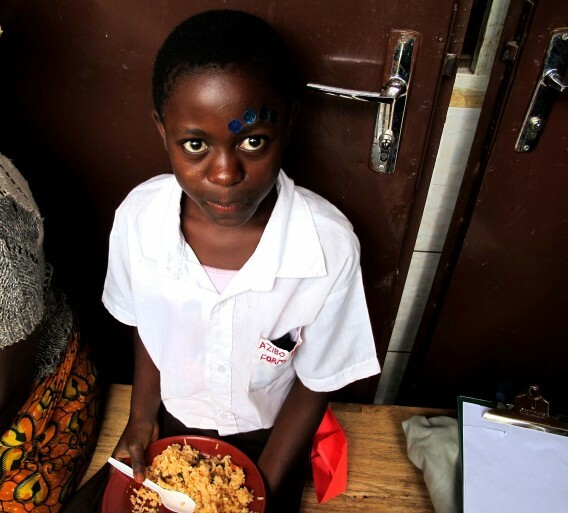 Xango has founded it’s own goodness foundation that sends food to areas where people are starving. It is driven by the distributors. They also support Opperations Smiles. Beautiful reminder of what a difference individuals can collectively make. I always thought you were special, but this confirms it. I’ve only been to two orphanages, but it amazed me when I did. One was in Hungary and the other in Ukraine. What staggered me most was the sheer potential of folk who should have shown no hope, but still exhibited all the best characteristics of “normal” kids from a typical family home. The poverty seemed secondary, the untapped potential was the prime surprise. Your project is fantastic !! Great inspiration to all !! Beautiful, inspiring post! I am always blessed by stories like these as I had my own experience in Port-au-Prince, Haiti in 2011 and I’m co-leading a mission team back in 2012. Even though the first trip was the most difficult experience physically, emotionally, and spiritually, I can’t wait to return! Bless all the hearts making a difference in someone else’s life. May these acts be reciprocated more often!!!! I commend you on what you are doing! There’s meaning it, so much meaning, and you’re making a difference in lives which makes a difference in the world. Thank you for that! I hope to make volunteerism a major part of my daughter’s life from a young age. As soon as we can, we’ll look into a volunteer experience where she, and I, can get involved.